Summer Holidays 2017 in Fuerteventura – All Inclusive Package Holiday with ALL Extras £1396 for Family !! 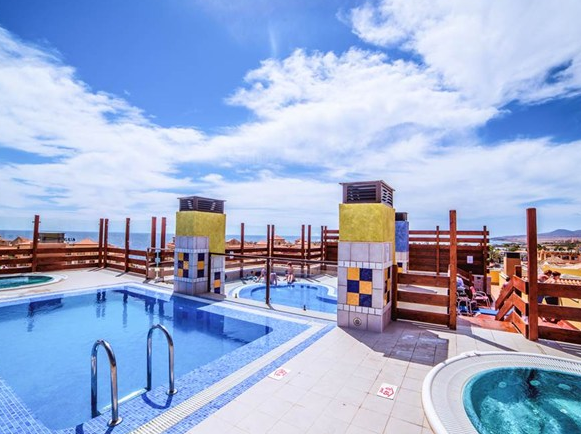 If you’re looking for next years Summer Holiday then be sure to check out the fab deals over at Jet2Holidays at the moment, like this All Inclusive week in Fuerteventura for as little as £1396 for a family of 3. This particular deal is flying from Birmingham on 13th August 2017 for 7 nights however there are lots of other options available which you can check out HERE. 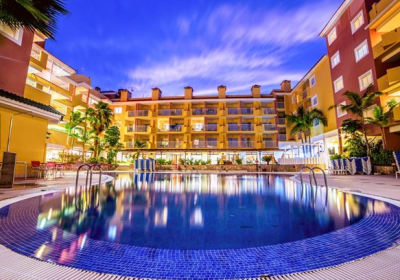 Set in a prime location in Costa Caleta, with the resort centre and beach in easy reach.The Costa Caleta Hotel has bright decor with modern facilities such as two rooftop pools and its very own cocktail bar. Rooms provide ample space, making this perfect for families.